Five years on and we are online! ... after opening two shops based in Northamptonshire selling handmade and hand finished cards for every occasion; gifts for the Home and Weddings; Baby and Christening Gifts and much, much more. 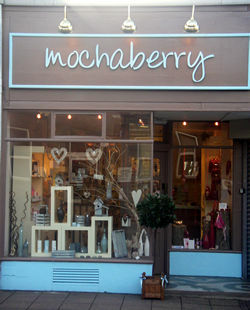 Here at mochaberry we have a passion for buying all the things we love and sharing them with others to enjoy. We spend a long time sourcing and searching, looking for different and lovely, unique products at a reasonable price and we still get very excited today about finding something new. We hope you share the same excitement when buying from us here at mochaberry. 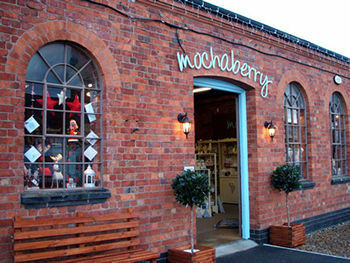 mochaberry first opened its doors in Northampton in November 2005.
mochaberry in Wellingborough followed in September 2006.